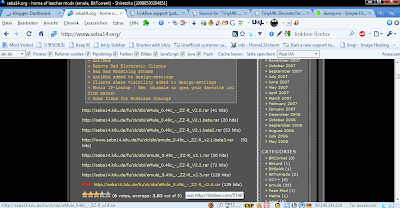 Core base is still eMule 0.48a ( see official changelogs since 0.48a to 0.49c codebase + features http://www.emule-project.net/home/perl/news.cgi?l=2&cat_id=23 ). makes changes on tcpip.sys without user-interrupt (see bettersp2.cpp/h etc. in src). As soon you execute emule.exe a BHO get installed, several registry keys get added to the windows registry. Windows system file tcpip.sys change its default value (on xp it reduce to 9 connections only). Other as by eXcalibur ( http://fzh.soft2cn.cn/ ), VC Mods are not encrypted like shareware and provided as a 'clean binary' exe. Tip: Check with TCP-Z or XP-Antispy or any TCPIP patcher after usage your max. connection limit. 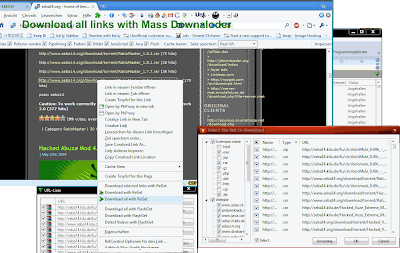 How to leech redirected and short url's such as linkbee download links effective. Sites which trash the web full of Ads on them links can be easier cleaned now. Linkbee etc... Ads + cookie skip over the ads page to the direct link. Inspiration: thanks to web49.sv14.net-housting.de for the demo links page and test support. Very fast Mod in upload and download speed! !! Vor dem Start bitte die preferences.ini im config Ordner löschen um Probleme mit den geänderten Limits zu vermeiden !! !! Before starting, please delete preferences.ini in the config folder to avoid problems with the new limits !! F-Secure and Fortinet with latest definition updates from 28.05.2009 False Positive fixed too! Today a clean in c++ coded Software Mod not packed or protected with any kind of exe packer/protectors shown a Trojan in some AV's. The Binary File should not be difficult for experts to do a deep analyze and correct the false positive. only trimmed/optimize PE exe and virus alerts gone. hmmm... sometimes some Antivirus are wrong. It should be clear to see that here is no Trojan or Virus in this file otherwise it will be in the file if Trim PE / upx and -de upx on emule.exe too. A Virus/Trojan can not get lost with the above procedure. 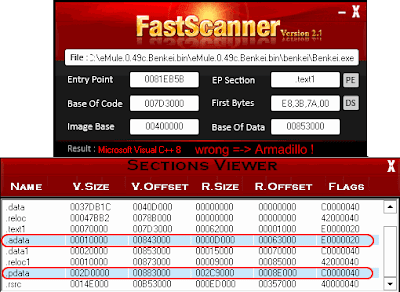 Further tests with Microsoft Network Monitor 3.3 in combination with Process Monitor v2.04 by monitoring and logging all traffic to/from emule.exe shown no suspicious Online activity other as official eMule 0.49c nor does a second hidden process start with it. There are no Viruses or Trojans in morph4u mods, I'm sure morph4u cares about his software and users! - if the above server is bad, the mod have under Options > Update > Security a protection with IP Filter.dat from http://downloads.sourceforge.net/scarangel/ipfilter.rar , you may remove this server from the svr list if it's a questionable ed2k server. AV Firms have been informed to re-analysis and remove the wrong virus alerts, correction of the false positive which shown up by some AV scanners. * Now requires (and uses!) .NET Framework 3.5 SP1. * The auto-updater can now download in the background, and then install the update after you've exited Paint.NET. Compare this to v3.36 and earlier that jump in your face and require the download and installation to happen right now, and block you from using the program until it's done! * The responsiveness of effect dialogs has been greatly improved. * When zoomed in, it is now much easier to correctly resize or move a selection. * Memory usage has been greatly reduces when more than one image is open. * The selection outline is no longer animated, which substantially reduces CPU usage. It also uses XOR blending. * Added a "Utilities" menu, and moved the following menu items there: Check for Updates, Language chooser, and View Plugin Load Errors. For the alpha release, there are also menu items for "Force Crash" and "Perform Full GC" (you'll know what that means if you're a developer -- Otherwise it isn't interesting). * Renamed "Grid" to "Pixel Grid", to more accurately describe its functionality. * Effect plugins now have access to a "Services" property which allows them to properly access certain internal Paint.NET functionality. Google's Web browser Chrome thrilled with an extremely fast site rendering, a sleek design and innovative features. But it also gets critic from data protection specialists , for reasons such as creating a unique user ID or the submission of entries to Google to generate suggestions. SRWare Iron is a real alternative. 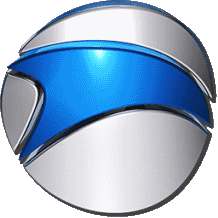 The browser is based on the Chromium-source and offers the same features as Chrome - but without the critical points that the privacy concern. We want our users to participate in our work and make the browser free to download under the name "SRWare Iron" into the net. You can now download a new Iron Release based on Chromium 2.0.178.0. Fixed are a lot of Bugs - e.g. at Incognito Modus, at the Downloadmanager and at lot of other things. Also speed and stability are significant better. We also updated the Adblocker. Themes can be downloaded e.g. from www.chrome-themes.blogspot.com. I ensure this page does not have any Trojans or Virus in Mods. Every single Mod have been scanned with Virustotal.com. If an exepacker/protector have been found which can be suspicious signs of hiding a kind of Trojan in c++ coded software, unpacking tips and remarks are published as well. Leecher mods exist since ever it doesn't mean any bad. Some mods are performed to release the full power of upload speed not only download (no limit in sharing partfiles by powerrelease etc...). If you found any form of possible Trojan, Virus please click contact us link and we will check it instantly and try to unpacking for deep analysis of the pe (exe, dll) files. - Newer eMule Applejuice Mod Versions // Some Tracking Cookies download automatically from the embedded Mod Webbrowser and collect user data (info for Advertiser only? ), Embedded Ads scripts/codes collect user info. - Some VeryCD mods // patch (makes changes) without user interrupt on a Windows system file tcpip.sys connection limit + installs a BHO as soon emule.exe executed. 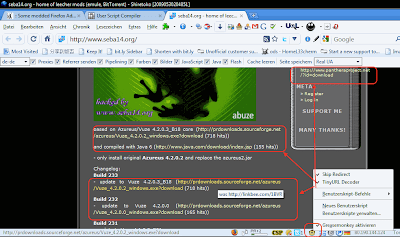 - some eMule (mods) Installers (we never publish installer versions). // Toolbars and Ads can be installed with it. Our Advice: unpack the installer with uniextract than take just the application .exe, delete 'unknown' rest content. If be not more sure how to deal with 'unknown' binaries use tools like PE identifier and scan exe/dll's before executing any new files. My suggestion use Exeinfo PE from A.S.L. which can as well show some embedded url's in files. Test file to open in PE Explorer if this fails, it's packed and or pe protected as in shareware and hacked software used. 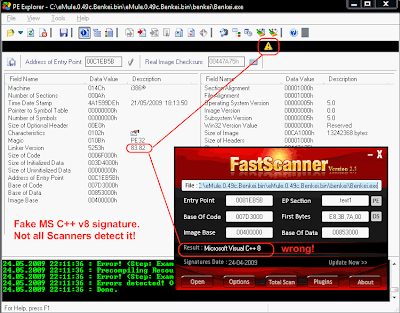 Another sign, eMule.exe is usually above 5 MB in size, not many get it in real below 5 mb by compiling. 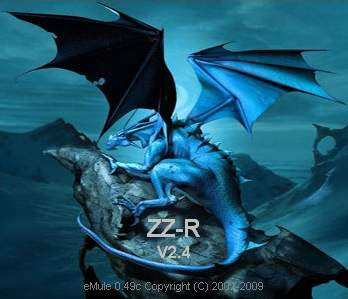 Test emule.exe files in sizes smaller than 5.03 MB and bigger as 6.7 MB. Submit a comment under the topics so that people can do an eye on the file. Applejuice Mod have all Xtreme features + tons of Leecher features. With the right setting undetectable. More than 40.000 Downloads per Version on just a few high traffic Software sites on Toplevel domains in all possible Languages.